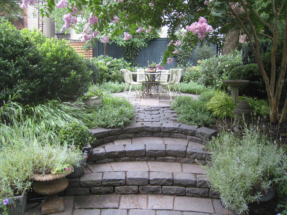 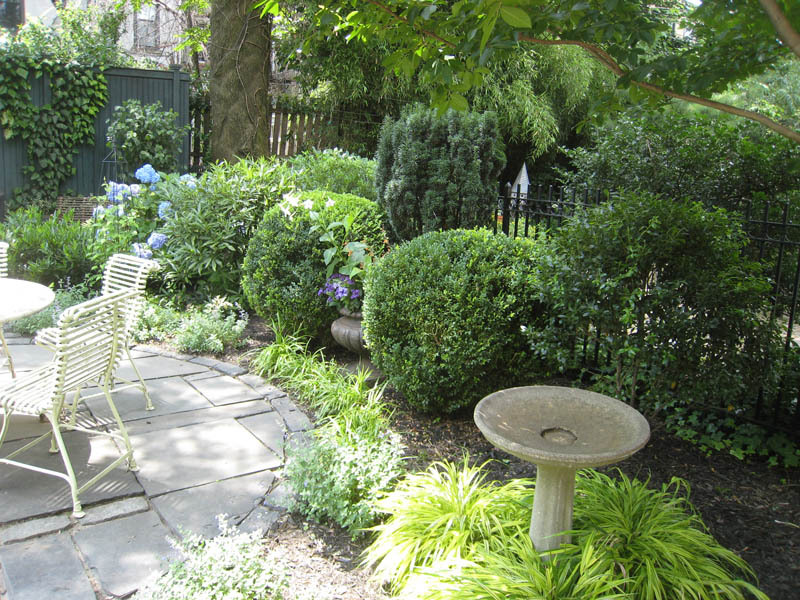 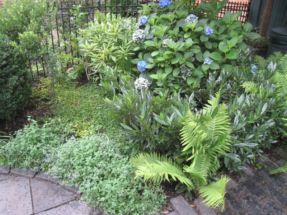 The multi-dimensional hardscaping of steps, paths, and patio, adds stunning layers of interest to this formal brownstone garden. 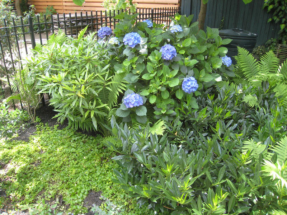 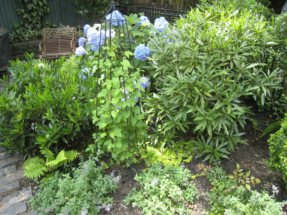 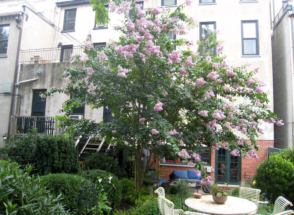 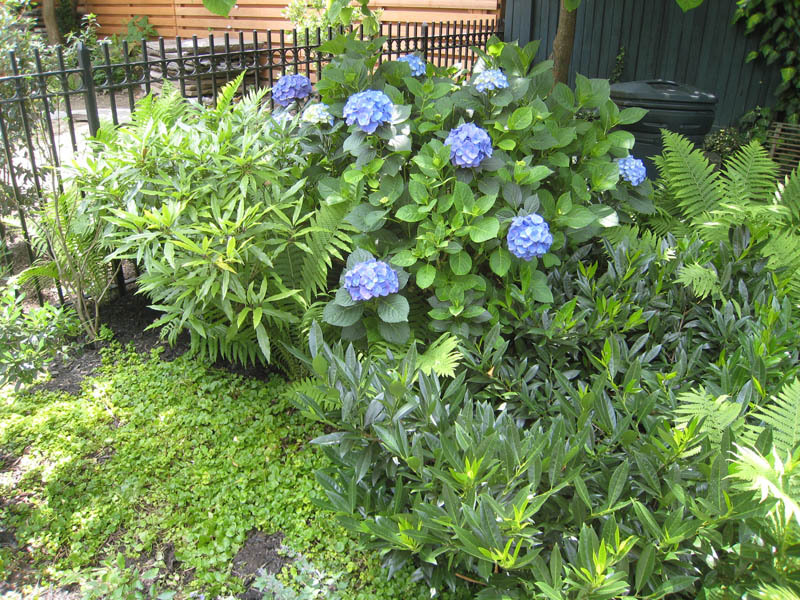 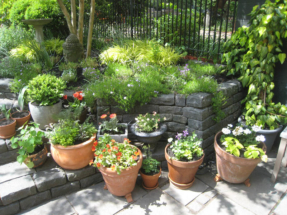 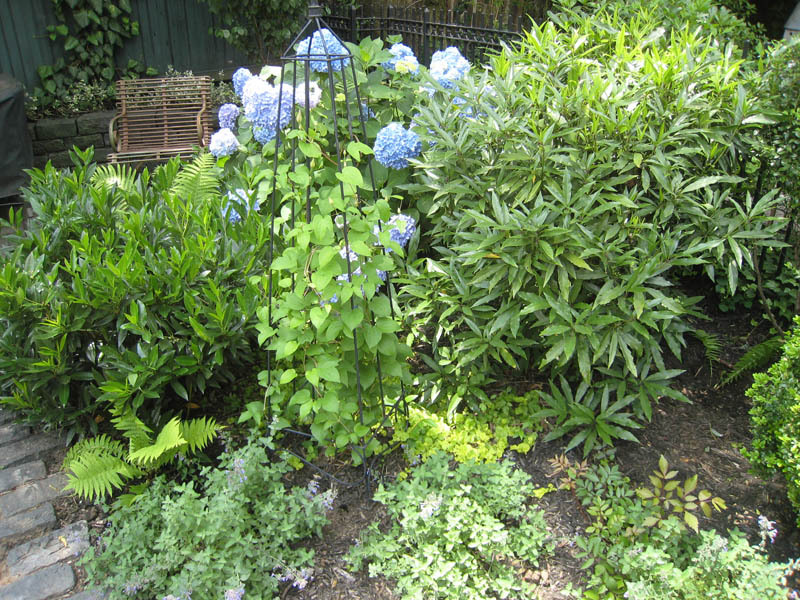 Structure is created by a constant evergreen backdrop and tightly tended plantings. Seasonal annuals, in hot colors, occupy a myriad of containers viewed from the cool shade of an umbrella.